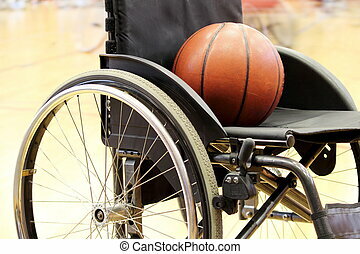 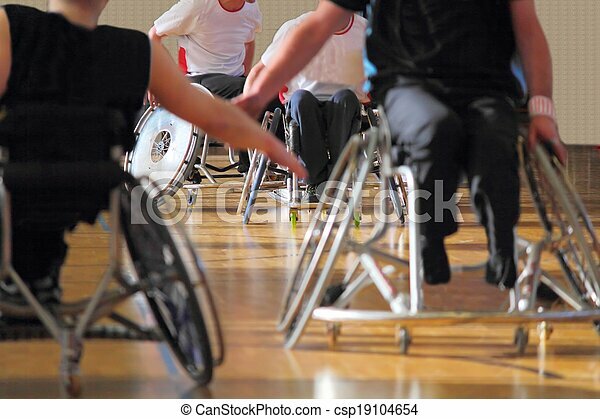 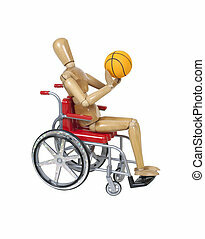 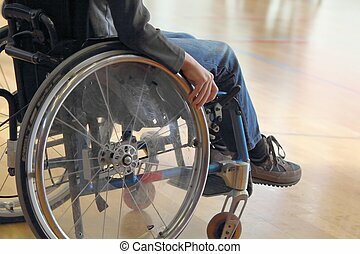 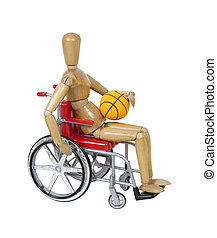 Wheelchair users in a basketball match. 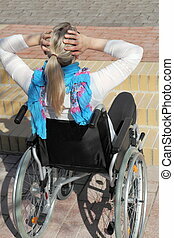 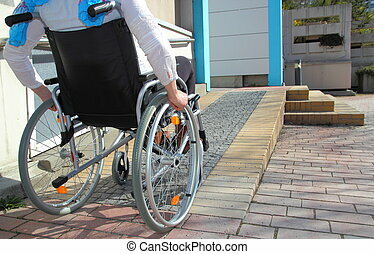 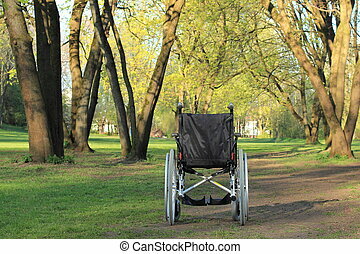 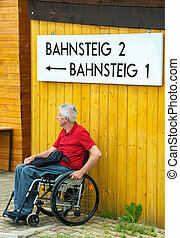 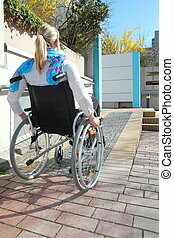 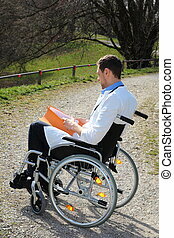 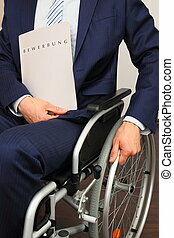 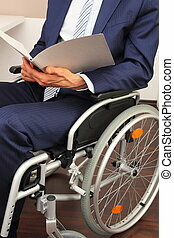 Retired person in a wheelchair waiting on a platform. 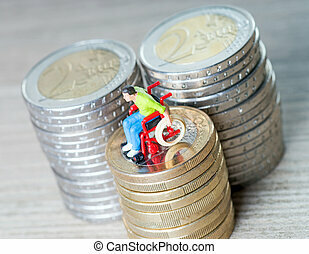 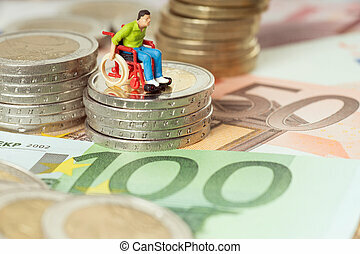 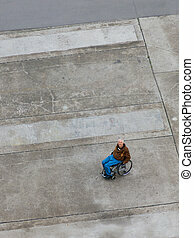 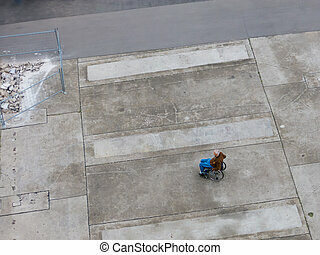 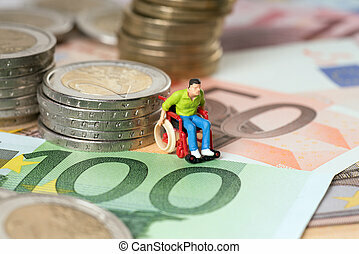 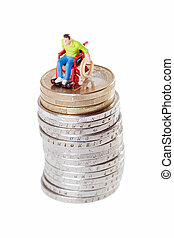 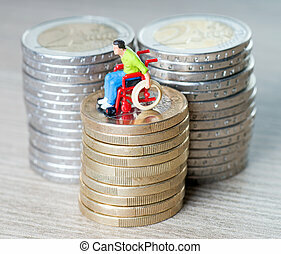 Lonely Senior in wheelchair on a big gray area, viewed from above. 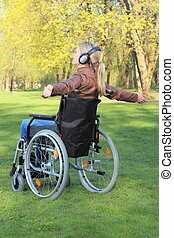 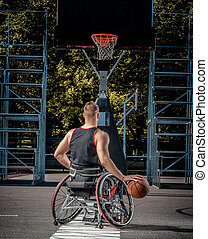 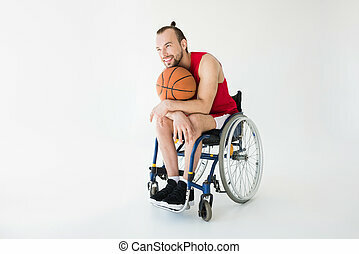 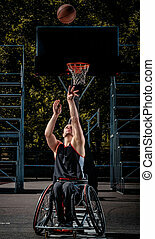 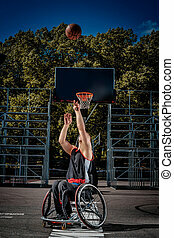 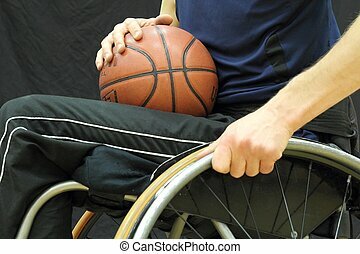 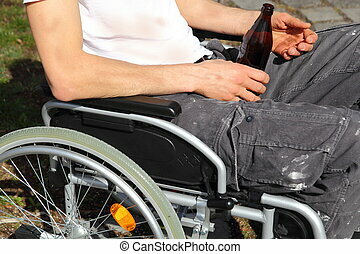 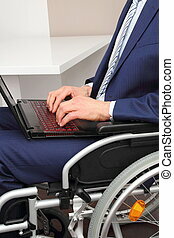 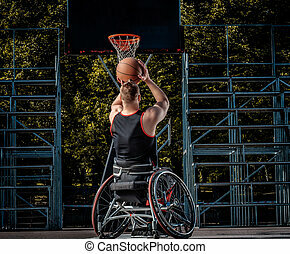 Cripple basketball player in a wheelchair plays on an open gaming ground.